Calligraphy Franchise in India - If you are in the search for the best calligraphy training institute who also provide Calligraphy franchise in India? If yes, then there could not be a better place than this. Calligraphy basically relate to beautiful letters & symbols. It is well understood that bad handwriting adversely affects the educational progress & result in a failure. It also leads the teachers to misinterpret what is written and evaluate them to award low marks in examinations. Good Handwriting generates optimistic energy and attract the teacher to award more and more marks. The art of writing has always been the primary concern for many educationists & teachers for a long time. A good handwriting is always appreciated. Rajmin Academy teaches & focus on the right ways of writing by using scientifically developed techniques. The myth of handwriting from decades is successfully broken that only the children can improve their handwriting. Rather the Handwriting can be improved at any age with 110% guarantee. Feel free to contact us at 9256893044 for calligraphy franchise & Calligraphy training classes. Many children struggle with bad handwriting, writing speed and also with wrong formation of letters. As the parents have to pay sincere attention to this issue. If the children is unable to write less than 12 words per minute which is considered as a severe disability in completion of a task in desired time. Rajmin Academy provides “Speed Writing Course” which ensures a proper formation of letters with speed. We do rigorous efforts to improve children’s hand strength, dexterity & right positioning so as to increase his speed. We provide 100% guaranteed program which results in the permanent improvement because of the scientific techniques used to enhance the speed. Many sentences are not properly written on the lines. Some children writes very small which is unable to read. Slating of the writing is not consistent & goes up & down. If you are the one who is looking for the top benefits of Calligraphy then here we have all you need to know. Here are some of the benefits mentioned below. 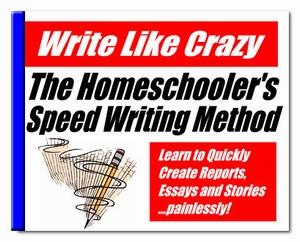 To increase the handwriting speed without disturbing the formation. We train correct letter formation, letter placement, spacing between letters and words. We help the child to gain a lifetime benefit of better handwriting. Calligraphy does not just limit to one font style, it has variety of different styles that manages to tempt you with their unique style. If you are not aware of these styles then below mentioned are some of the calligraphy styles that you can choose from. These all calligraphy styles are extremely beautiful and will definitely help your children to have extra ordinary writing styles. So Rajmin Academy is on a mission to provide best calligraphy training classes of below mentioned types. Eastern Asian calligraphy training classes. Southern Asian calligraphy training classes. Calligraphy is known for ages now for its unique and creative style. You can easily impress anyone with calligraphic writing skills. Calligraphy is been in use since a long time now. It is even used now to design the logos, book designs, signs etc. to name a few of them. It is even used for many practical purposes like wedding cards, writing certificates, religious cards etc. A student who knows calligraphy will surely score well than the one who is unaware of the beautiful art. What makes you choose Rajmin Academy for the best calligraphy training courses? Despite great academy efforts, if writing is still becoming your hurdle to score high then calligraphy courses you need to opt for. We provide the best calligraphy training classes that help you in scoring good and impress people at the same time. Another reason to choose us is that we are cost effective. Also, we not only provide just the courses but if you are looking to buy the franchise then also we are here at your help. Therefore, go ahead and feel free to contact us anytime to get the quality services from us. Our calligraphy course duration is not too long and not too short. We provide training classes for the duration where candidate can learn most of the things without any boredom. We also provide demo calligraphy classes online for free so that you can analyse and choose us. Also, the plus point for choosing us is that we provide certificate course in calligraphy. Calligraphy franchise in India, Delhi, chennai, Bihar, Uttar pradesh, Jharkhand, Punjab, Haryana, Chandigarh, Patiala etc. Now the question arises that What is the cost of calligraphy franchise in India provided by Rajmin academy? Well our calligraphy franchise starts from Rs.10000 onwards in India. To join our calligraphy training classes or calligraphy franchise feel free to contact us on below mentioned contact details.